I have a big mental block to cook without onion and garlic; I have ALWAYS used them in curries. Some of you might think, why avoid onion and garlic? Especially when garlic has so many health benefits. If you are a person inclined towards leading a Yogic life, you might have heard of Sattvic food. A yogic diet or Sattvic diet consists of fresh food which doesn't excite your senses. I have a counter argument that garlic is used as a medicine in Ayurveda for people whose internal fire is weak or whose Pitta Dosha is suppressed. I have been advised by my ayurvedic doctor to always have rice which is sauteed in ghee turmeric, garlic and shallots, so I have been using onion and garlic everywhere possible. Now that my health has improved, I have been trying to cook without onion and garlic. It is easier for me to be Vegan than to be Sattvic. One morning I woke up and decided to stop eating all animal products and it has been easy so far. I just say no to everything that contains animal products. My mind hasn't revolted or craved for animal products (milk or eggs) yet, but to be Sattvic is a real challenge for my mind. 1. Cook Potatoes. Microwave or pressure cook or just boil them. Peel and chop the cooked potatoes into cubes. 2. Powder the coriander seeds and fennel seeds. 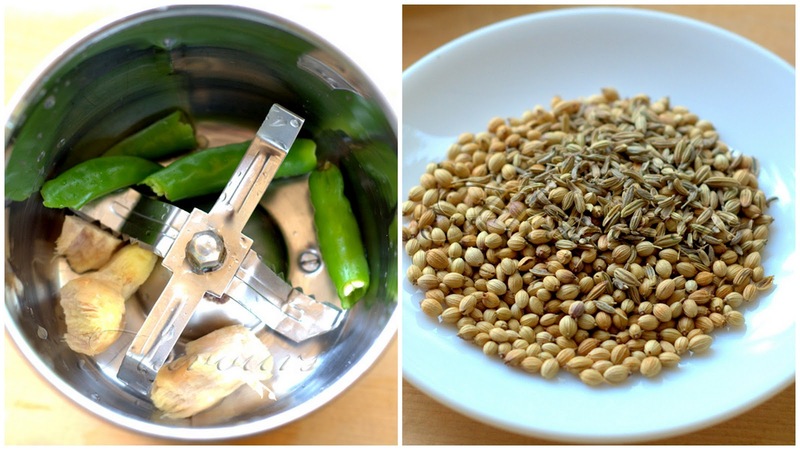 Grind the green chillies and ginger into a paste. 3. In a small bowl mix ginger- green chilli paste with coriander-fennel powder, turmeric and red chilli powder with ¼cup water. 4. Heat the oil in the pan. Add cumin seeds once the oil is warm, followed by asafoetida powder. 5. 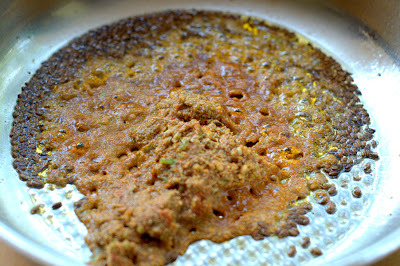 Now add the spice mix, keep stirring and cook till the oil separates. 6. 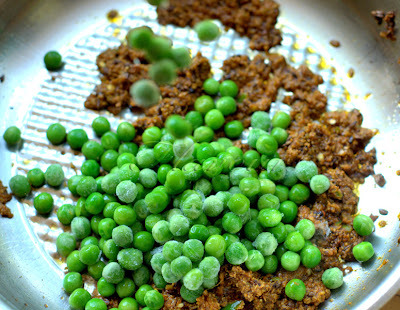 Next add the green peas and half cup of water and cook until the peas are tender. 7. Add salt and potatoes. Mash a few potatoes to thicken the gravy. 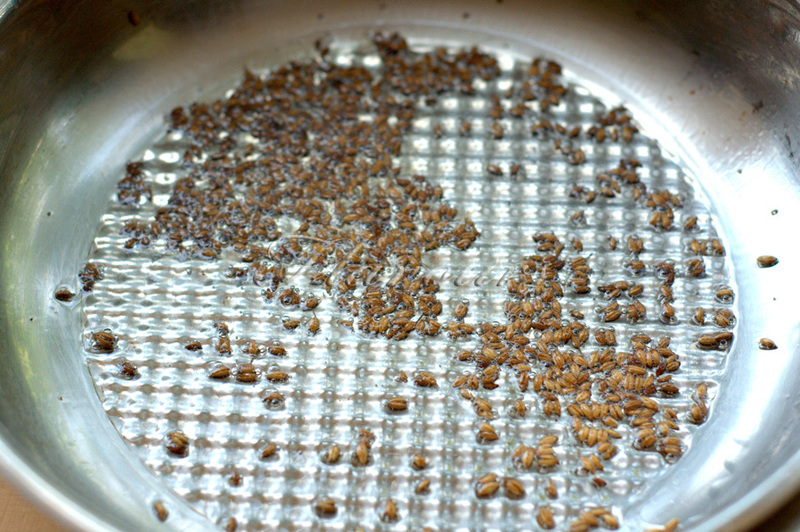 Add two cups of water and bring to boil. Lower the heat and cook for 5 minutes. 8. Add garam masala, amchur powder, chopped tomatoes and cilantro. Mix well and once it starts to boil, cover with a lid and turn of the heat, the tomatoes cook in the steam. 9. 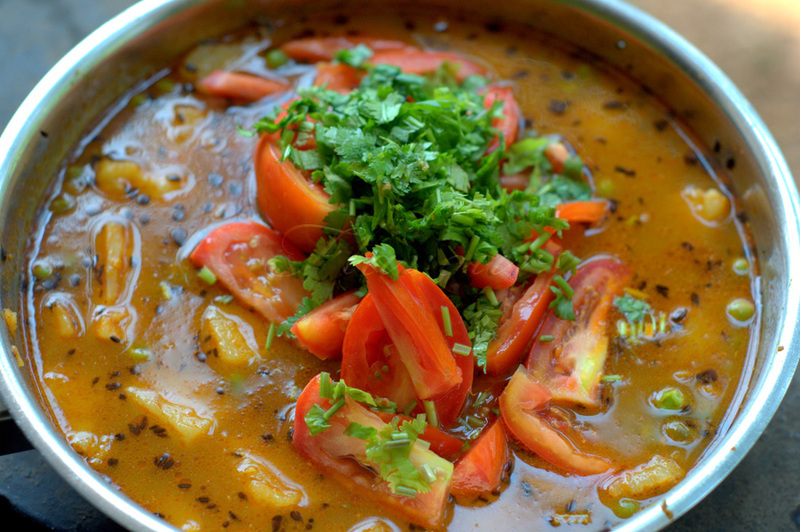 Serve warm after 5 minutes with roti or rice. 1. You can use tamarind paste instead of dry mango powder. 2. I used frozen peas but fresh peas are more nutritious and tastier than frozen peas. Peas are one of the most nutritious leguminous vegetable, rich in health benefiting phyto-nutrients, minerals, vitamins and anti-oxidants. Peas are relatively low in calories when compared with beans, and cowpeas. 100 g of green peas provide only 81 calories, contain good amount of soluble and insoluble fibre. Peas contain phytosterols especially ß-sitosterol. Studies suggest that vegetables like legumes, fruits and cereals rich in plant sterols help lower cholesterol levels in the body. 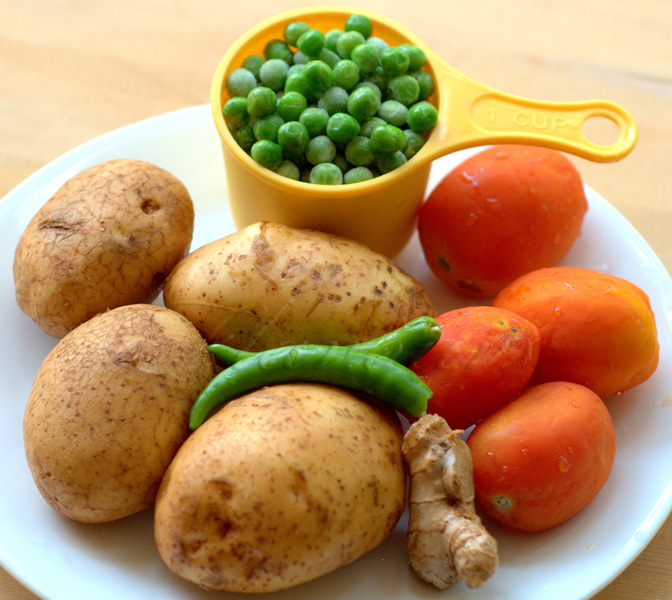 Potato is carbohydrate-rich food and a good source of some micronutrients and its protein content is very high in comparison with other roots and tubers. It is also a good source of Vitamin C, Vitamin B6, Potassium and Manganese. Tomatoes are excellent sources of antioxidants, dietary fiber, minerals, and vitamins. Because of their all-round qualities, dieticians and nutritionists often recommend them to be included in cholesterol controlling and weight reduction programs. It is a good source of Vitamin E (Alpha Tocopherol), Thiamin, Niacin, Vitamin B6, Folate, Magnesium, Phosphorus and Copper, and a very good source of Dietary Fiber, Vitamin A, Vitamin C, Vitamin K, Potassium and Manganese. yummy delicious and awesome gravy. Frankly I was tempted to add onion garlic. But I'm glad I didn't coz it does taste good and trust me you won't miss the onion garlic flavour. I can't imagine giving up onion & garlic for sattvic food. Can't imagine giving up milk, cheese, ghee and becoming a vegan. Can't imagine giving up potato and carrot like strict Jains. You're gradually able to do the first two. That takes a lot of willpower! 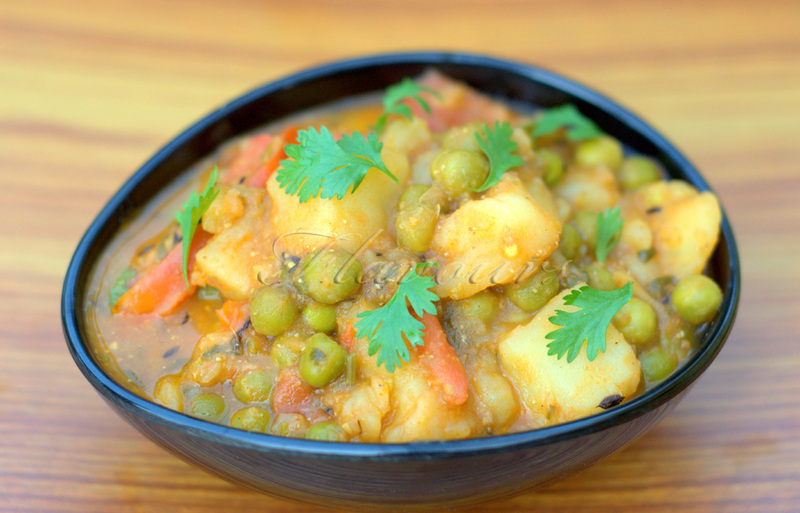 Ultimate combo,love it anytime.Looks marvellous,irresistible and yummy..
That's a nice recipe for days when I am in the mood for eating a simple aaloo-peas curry minus the heavy onion masala:) The pictures are so helpful to understand the recipe step by step. I know it's a lot of effort.. but it's so useful. Thanks. Thanks a ton Vishakha for your kind encouraging words! I liked you that you are brave enough of remove onion and garlic from the dish and make it delicious. Once I get courage I will do that. I too cook without onion and garlic but not in potato curry at least I need onion there. I agree with you, for someone like me who thought curry meant sauteing loads of onions and garlic no matter what vegetable was being use... it did take courage to try something new for a change. 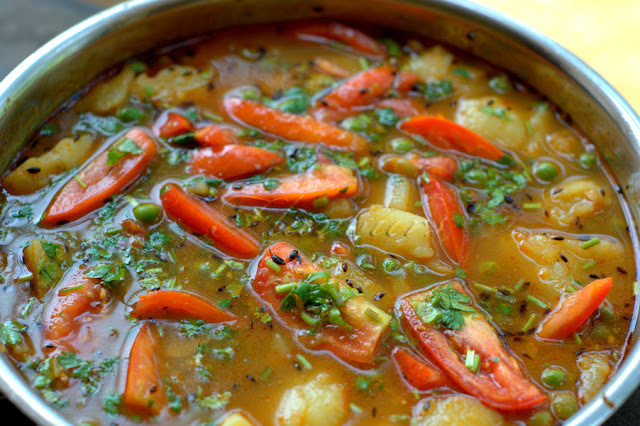 simple and delicious curry. looks tempting. i have read on the many health benefits of onion garlic and even blog on it..with proven scientific research. they are very healthy and a must eat food ingredient. 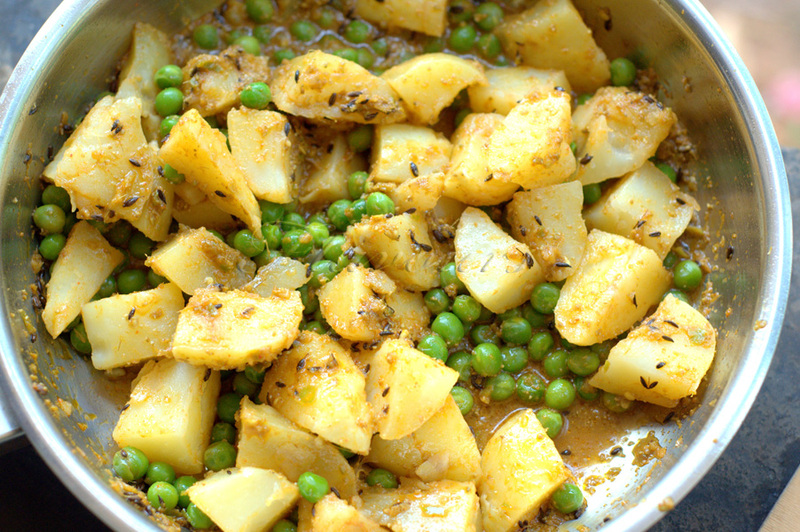 Peas and potato curry looks delicious and flavourful... A must have!! Perfect with rotis..
Looks so inviting and yummy...mouthwatering! looking grt..have nominated your blog for versatile blogger award .. pls check it here.. Thank you Sivapriya... hope you liked it... carrot and peas are a great combination! 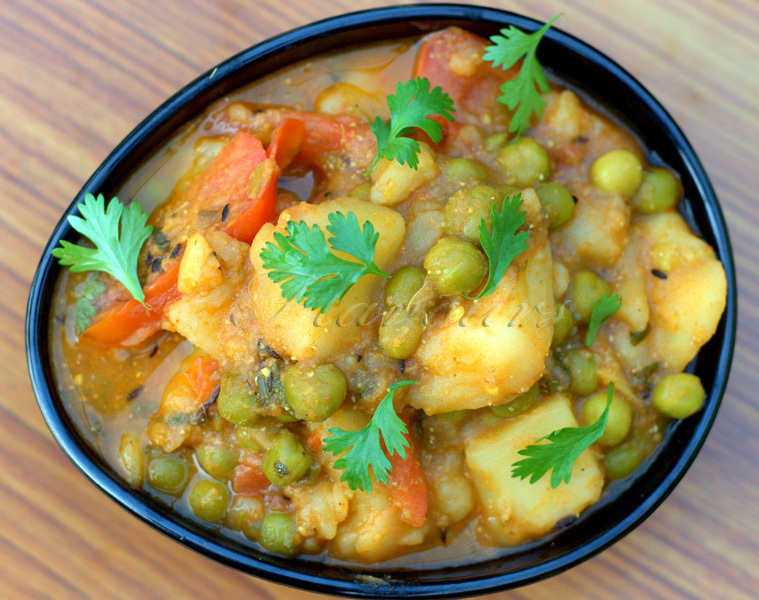 I loved your aloo mattar ka sabzi...not very spicy, yet ful of flavours! Oh yes you are right... it's not spicy but flavourful! 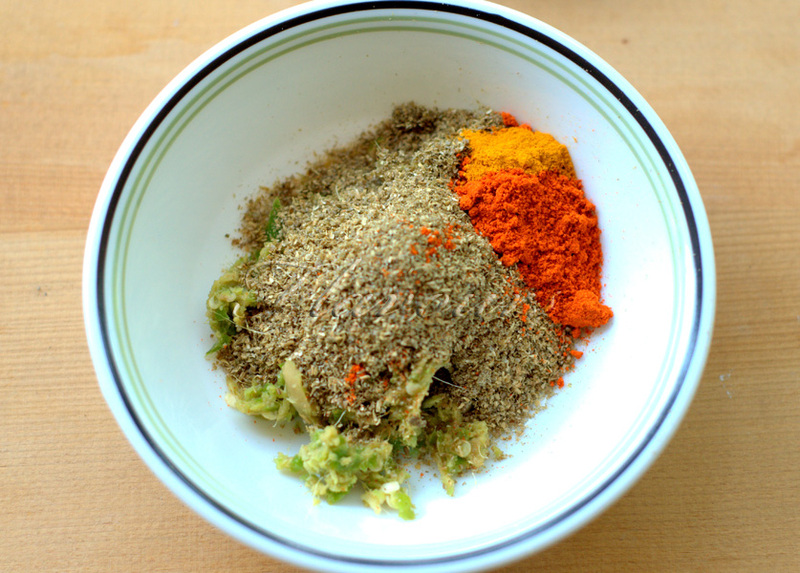 New Diet Taps into Revolutionary Idea to Help Dieters Get Rid Of 15 Pounds in Just 21 Days!